Of late, I’ve been trying to figure out when “feminism” became such a dirty word. 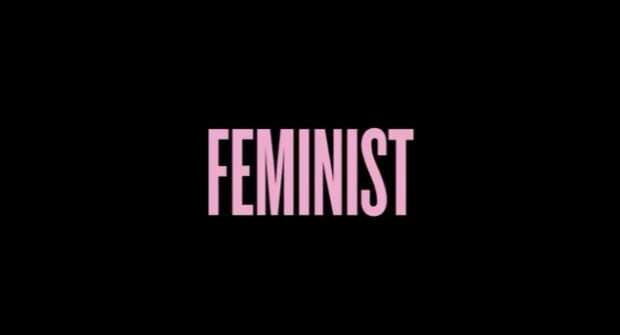 By definition, feminism can be defined as the advocacy of women’s rights on the grounds of the equality of the sexes. When you read that definition it’s hard to understand how every woman on this planet is not a feminist and shouting it proudly from the top of a woman-owned building in women-designed shoes. We are still paid less than men, still facing a very thick glass ceiling, still being trafficked, objectified, raped, (in some countries cannot drive or vote) and still have to say things like, “Thank you, but can you look at my eyes when I speak and not my chest.” (These are not opinions people, these are facts). Like I’m sure many have, the #Metoo movement has sparked all sorts of conversations between my friends and I, at dinner parties, in the playground, at work etc. And while I’ve always been a very proud feminist some of my women friends, to my surprise, make sure I know they are not, as if it’s a dirty word associated with showerless women who burn bras and hate men. I suppose my first question always is, if you're not a feminist, by its sheer definition, then what are you? Someone who doesn't want equal rights for women? Or someone that simply doesn't care cause you have plenty of rights and sod the women who don't? This then spurs me to want to grab the dictionary and just read them the definition as I’m convinced they must be misunderstanding the words… um, you’re a woman, don’t you want equal rights for, you know, women? And for the record, I shower, I love men (with exception), and am raising a damn fine son who is indeed a feminist (as this is not just reserved for women) and understands that women are his equal and are on this planet to be respected and revered. Like any movement, the feminist movement has a long checkered past and yes, there have been participants of all types, convictions (as in passion, not criminal) and affinities to showers. Some of these women could certainly be called militant in their belief systems, and some simply want equality for women without having to shout it from the rooftops. But herein lies the problem, like it or not, change doesn’t always happen through the stoic types who support the movement but aren’t ready to holler it loudly. Sometimes change is only brought about by those ready to adopt the 'by any means necessary' stance. For every Gloria Steinem, there is a Rose McGowan, who is angry, unruly and eager to make enemies along the way cause she feels like she has no other choice. Remember, change is also very uncomfortable for those that don’t want change. I strongly believe that the loudest voices sometimes need to be heard to shake things up, as it is far too easy to sink back into what is deemed normal. And women accepting (or shall we say, tolerating) a male dominated society’s view of normal is what got us into this sh*t in the first place. My other response to those that think the movement has gone to far is this, with every movement there is going to be a bloodletting. Things may go too far at times because there has been silence and acceptance for so long, and when the volcano blows, it’s damn hot and leaves nothing unscathed. But in time, things will settle down and hopefully a new normalcy will come out of this, a bar of which we all should strive for (for men and for women), a new definition for what is acceptable behaviour. The other thing we should be focusing on is what has gotten out of hand is not this latest movement, but the fact that so many women have been silent for so many years and all of this abuse/assault has been allowed to persist. But most importantly what this entire movement has done is start a dialogue. And it is loud and messy and complicated, but it needs to be had. The fact that we are talking about Aziz Ansari over a dinner table and wondering where the line is and if he’s being unfairly maligned means the movement is long overdue. It has brought a voice to the silent corners, the uncomfortable ambiguities that men and women often never discuss. It has also shone a light on the voiceless, a very important demographic that is easy to forget if you’ve always had a voice. This is one of those watershed moments that no matter if you’re a man or a woman, you need to take a step back and remind yourself that this is a time for listening, a time for dialogue and a time to understand that everyone has their own experience and it’s not always pretty, easy, or comfortable. So rock on my feminist sisters. I’m proud to stand with you (on a rooftop).